CraveTV releases six new episodes of Jared Keeso comedy. Deck the halls with darts and donnybrooks. CraveTV has a Christmas gift for fans of the irreverent comedyLetterkenny: Season 2 will drop with six new episodes on Christmas Day. “We know fans are hungry for more and are confident Season 2 will deliver a most bingeable Christmas,” CTV executive Mike Cosentino said in a news release. 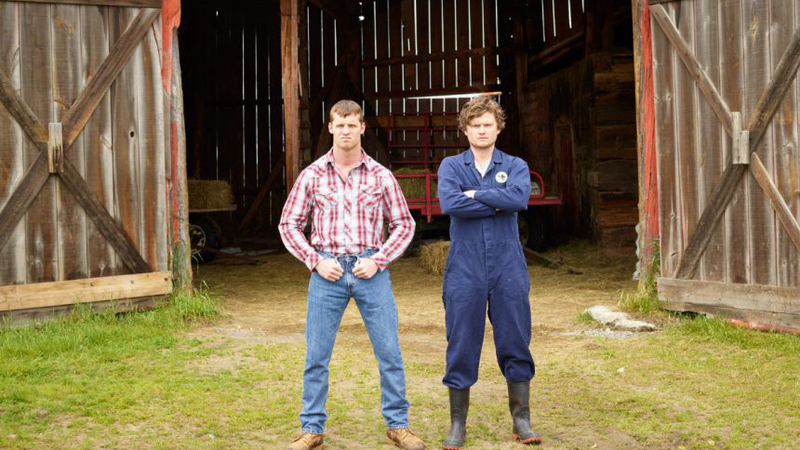 The small-town Ontario comedy, created and co-written by Jared Keeso of Bravo’s 19-2, still holds the record for biggest debut of any series since CraveTV started streaming in 2014, with more Crave users watching Letterkenny than any other series or title. The third season starts production in Sudbury in 2017. Crave also announced some other holiday goodies for viewers with a “Holiday Collection” of episodes from series like Seinfeld and The Big Bang Theory; the 1951 movie version of A Christmas Carol; Christmas Time in South Park and Doctor Who: The Christmas Specials, all launching Dec. 1.